There’s no doubt that American Football is the nation’s most watched and loved sport. Every year, the sport draws millions (not only in America but a little all over the world too) to their screens to watch the National Football League’s games. It’s an essential part of American culture now! 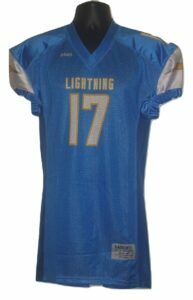 So, thinking of all the fans and all the athletes playing at the amateur level, we have come up with sublimated football uniforms now for sale on our website. 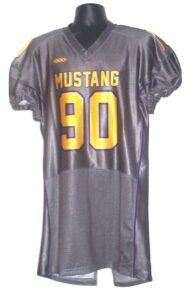 Buying custom football jerseys for you is a great way to show your enthusiasm about the game. You’ll be the only person in the world who owns that jersey — and you’ll make heads turn every time you wear it to a bar to watch the game or even at the stadium. 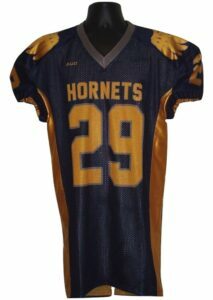 We give you all the creative freedom to design your custom football jerseys however you like. We’ll handle the rest. After around four weeks, you should have a unique and customized football jersey waiting for you at your doorstep! It will even make a great gift for your closest pals. Can you imagine kicking off a Christmas or a birthday by getting them their very own jersey? 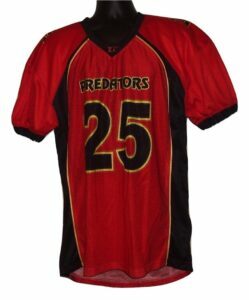 If you’re an amateur athlete, investing in one of our custom football uniforms would be a great idea. 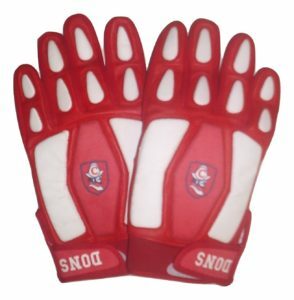 Not only are they so practical and comfortable, but they’re also stylish and will set your team apart from the competition. 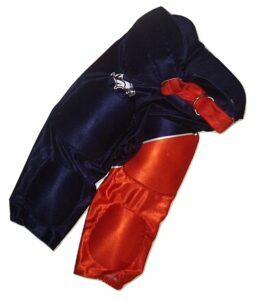 Just imagine all the players lined up on the field with matching unique custom football uniforms. It will surely knock some fear into your opponents’ head because you all look so professional and ready to win the match. 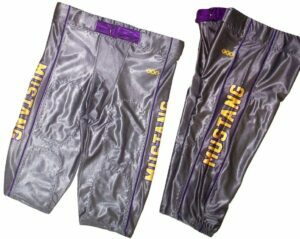 Our offer of sublimated uniforms is unparalleled. The materials we use in the customization process are of high-quality and well-ranked by both customers and the industry. 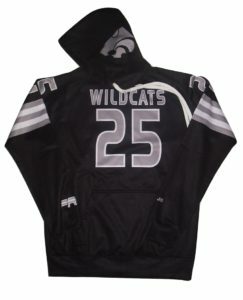 They give your jerseys, shorts, helmets and every product we sell the characteristic and desirable finished look without making the fabrics stiff and heavy. All our products are lightweight but durable (meaning that the product will look the same after it’s been through hundreds of washes as it does when you first get it), comfortable and practical, they let the skin breathe even when you’re sweating, and they look cool and professional. 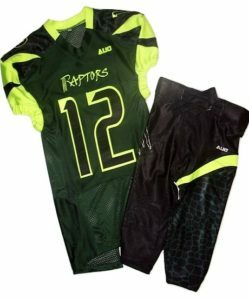 Buying custom sublimated football uniforms is the perfect way to show your love of the game — whether you’re a supporter who stays behind the screen, one that goes to the stadium, or an amateur athlete looking to bring some fresh energy to your team! 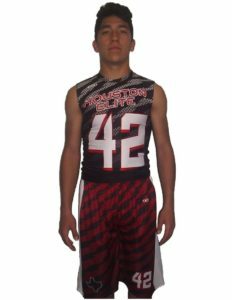 Here at Sublimated Sports Uniforms, we care greatly about our customer’s satisfaction, which is why we’re so well rated and trusted by our customers. 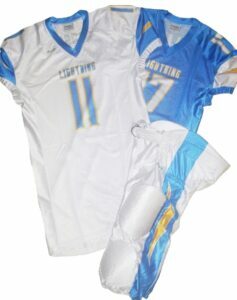 If you have any questions concerning our sublimated football uniforms or if you want to learn more about what we do here at Sublimated Sports Uniforms, we have a customer support team ready to answer your questions. You can reach us by calling (602) 326-4290 Monday through Friday, 7 am to 5:30 pm Mountain Standard Time (MST).